Do you ever feel like trying to earn a higher ranking on Google is a lost cause? Sometimes it feels hopeless to compete with big name national healthcare organizations that have huge marketing budgets. Ranking well on Google isn’t about how much you spend. It’s about how much you know—about SEO, that is. The rules of SEO are continually evolving. And that’s why you need an expert in healthcare SEO. An SEO expert will optimize your website to rank well in organic search with the goal of driving more traffic. Effective SEO depends on developing the right mix of keywords, social media metrics, on- and off-page features, content, link authority and other factors to help Google index your site and rank it. Why Hire a Healthcare SEO Expert? If you want to grow your business, SEO is mission critical. Why? Because it’s the only way your prospective patients will find you in the online maelstrom of content. But you probably know that already. What you may not know is that an SEO expert will not only get you from Point A (no online presence and page 3,486 of Google) to Point B (thriving online presence and page 1 or 2 of Google) faster than you can on your own, but they will also do it more efficiently with better long-term results. You don’t have the expertise to do it well. Most website owners and online marketers have a basic understanding of SEO, but that’s a far cry from being an expert. If you are following outdated recommendations, your website could be penalized leaving you with an even bigger mess to clean up. And even if you don’t do anything wrong per se, limited knowledge will only get you so far. An SEO expert will optimize your website much more effectively than you could on your own. You don’t have enough time to invest. SEO takes time. You may have a strategy in place, but if you don’t have the time to nurture it by updating your site continually, you won’t see the best results. By delegating that responsibility, you can invest the time and resources it takes to stay ahead of the curve. You have a great website but you’re hearing crickets. You may have a beautiful, user-friendly website with a stellar patient experience, but if no one can find you it’s all wasted. You won’t get the leads you want and your appointment book will remain half-empty. An SEO expert can help you leverage the resources you already have to boost your visibility and your traffic. You don’t know how to track metrics. Guesswork is risky in your medical practice, and it’s risky in SEO too. Tracking important metrics like website visitors, keyword rankings, and conversion rates will indicate whether your efforts have been effective or not. When you work with an expert, he or she can tell you what to track, how to know what’s working and what isn’t and how to make necessary adjustments based on the data. You’re making expensive mistakes. Lost visibility means lost traffic, which translates into lost potential. 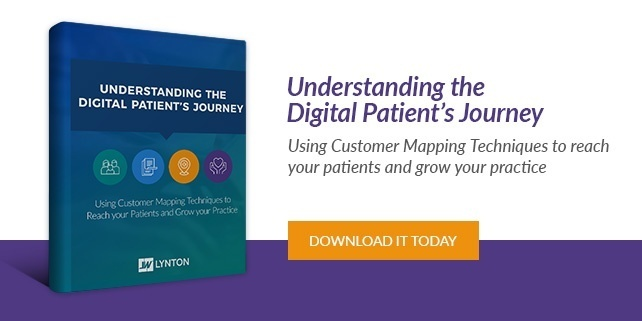 If prospective patients can’t find you, your practice can’t grow. SEO mistakes cost money, both now and in down the road. An SEO expert can help you avoid those mistakes and keep your growth on track. How Do I Hire the Right SEO Expert? SEO experts can be found wearing a number of different titles such as internet marketing consultants, SEO consultants, SEO solutions professionals, SEO strategists and others. The key is to know what they do, not what title they go by. Consider the pros and cons of hiring through an agency as compared with hiring someone internally. When you work with an agency, you’ll benefit from their broad range of experience and you’ll also get someone who has specialized knowledge in the field. Agencies offer cutting edge technology and they can be more cost effective for an SEO audit or specific project. By contrast, internal hires may be handling several other responsibilities in addition to SEO; however, they usually know your industry and your specific practice very well which may give them an edge in developing an effective keyword strategy. 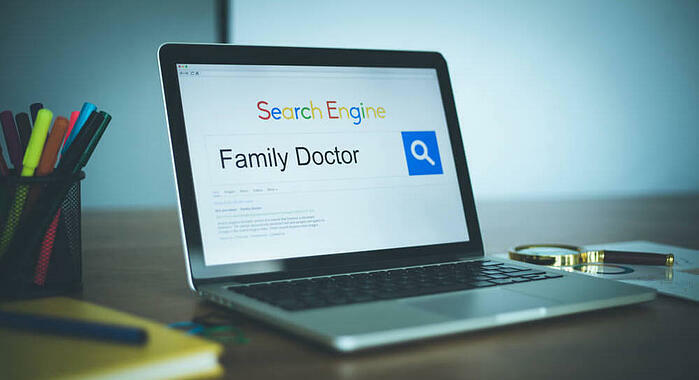 No matter which route you choose, ask plenty of questions to make sure the person you hire has a deep working knowledge of healthcare SEO rather than just a surface level familiarity. It’s a decision that can make or break your online marketing strategy. Are you ready to learn more about what SEO can do for your healthcare practice? Call our healthcare marketing experts to set up your free consultation today!